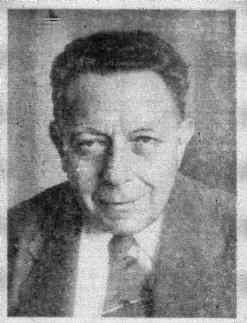 Henryk Grossman was born in Krakow, in Galicia, the Austrian-ruled section of then-partitioned Poland. Active in the socialist movement in high-school, he joined the Polish Social Democratic Party(PPSD). At University he became active in organizing Jewish workers and struggled against the opportunism and chauvinism of the PPSD. He helped lead a split of Jewish workers from the PPSD in May 1905 to form the Jewish Social Democrat Party of Galicia, and was elected party secretary, occupying leadership positions for the next 3 years. With the defeat of the 1905 revolution and the subsequent decline in the working class movement, he left active politics and worked as a statistician and economist. After the war, he joined the Communist Workers Party of Poland in 1920. Persecuted by the police and imprisoned for several terms ranging from 2 to 8 months, repression forced him into exile in Frankfurt at the end of 1925. He became associated with the Frankfurt Institute and wrote his major work on capitalist breakdown, and related articles. He was forced into exile again in 1933, first to Britain and then the USA. He returned to Germany in 1949, joining the Socialist Unity Party, as Professor of Political Economy at the University of Leipzig, where he died the following year. Note on naming: 'Henryk Grossman' is the name by which he was known in Poland is the named used in those works whose preparation he oversaw himself. 'Henryk Grossmann' is an alternative rendering, widely used in older editions, and many commentaries. It is only used in this archive in bibliographical references. More information about Grossman and definitive bibliography.